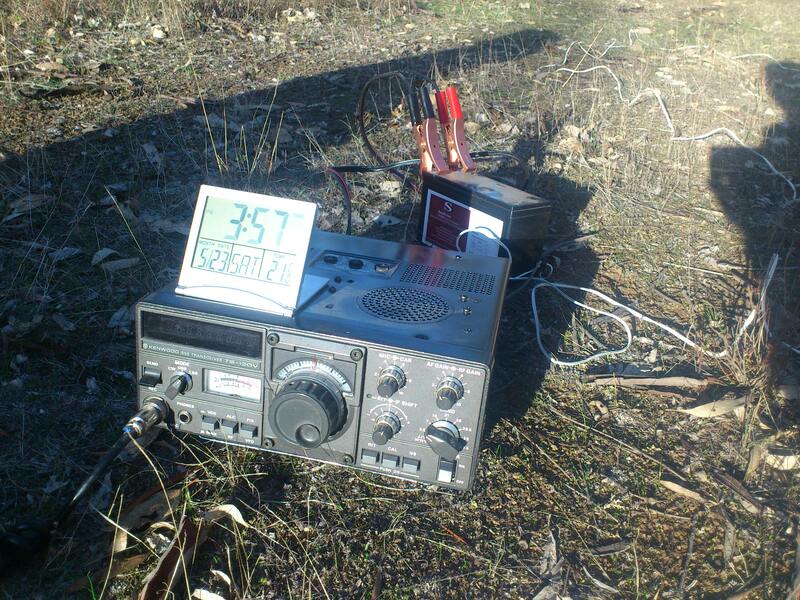 VK3FQSO | My adventures with Amateur Radio and Geocaching! 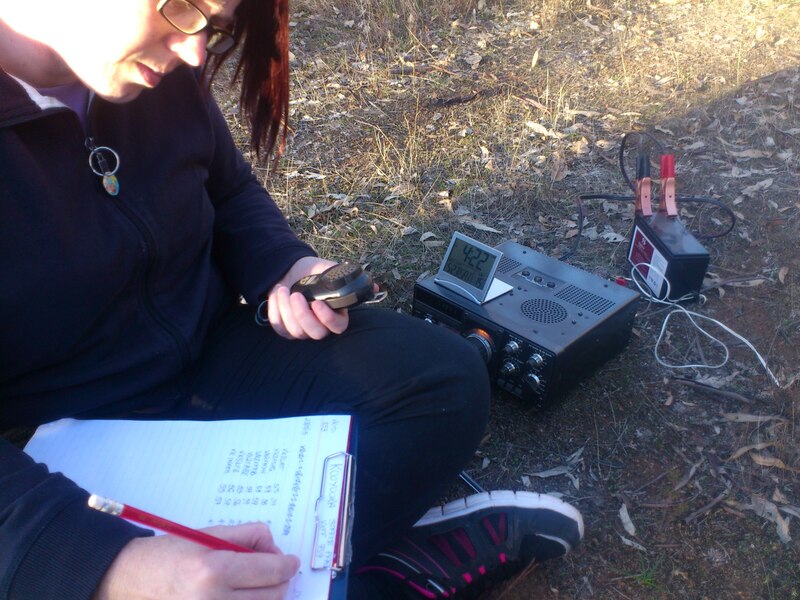 My adventures with Amateur Radio and Geocaching! It’s a busy weekend…but not for radio unfortunately!! 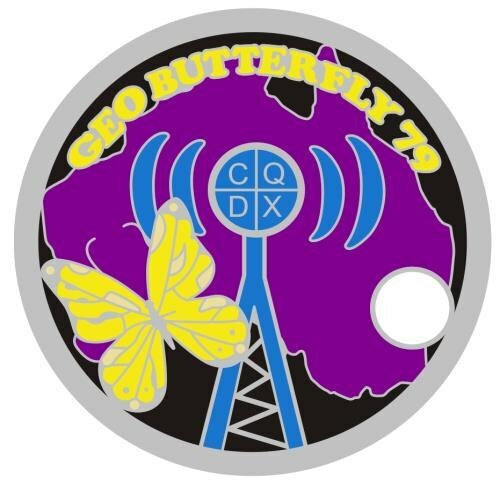 On the 15th of January, Greg’s radio club had a tour organised at Mt Burr to get a walk-through of the radio communications facilities that are located there and I casually made mention of it being a SOTA summit on the Thursday night when Col (VK5HCF) was over visiting for a BBQ dinner with us all. He hopped on his mobile and within 5 minutes had it all organised for me, with gates being left open prior to the tour so we could have access to the summit before everyone else arrived. Greg had said that Col was the one to get things done and he wasn’t joking! Thanks Col! 🙂 I didn’t actually get a picture of my activation as I was running a little late in getting everything organised, but I set up on the right hand side of the road, close to the communications area with the squid pole held against the gate post with occy straps, and the arms of the antenna strung along the fence. I sat on a rock and had the radio/battery set up on another rock. It was a VERY quick activation and I was on air for about 15 minutes before the cars of all the club members started arriving for the tour. Bob and I dismantled the station and had everything packed up in time to get inside ready for the tour. It was also wonderful putting faces to some of the callsigns that appear regularly in my logs such as Tom (VK5EE) and also Tom (VK5NFT, formerly VK5FTRG) although I probably recognised them more when they spoke as you do get used to hearing people’s voices on air. The tour was very interesting for us, but the kids had had enough after about an hour and a half and so when the tour had unofficially ended about 9:15pm, they didn’t need much convincing to jump back in the car and head for home, so we were sorry that we couldn’t stay for more of a chat with everyone. On the 16th of January, we were booked into a coastal food tour with Greg and Gabi and met at the Mt Gambier library to get on a bus for a trip to Port MacDonnell. It was very interesting with a friendly and knowledgeable tour guide on native foods available in the area and the bus was completely full so it was a popular choice obviously and we were lucky that Greg and Gabi had booked us in! Halfway through the tour, with the sounds of the ocean so close, Bob and the kids wandered away from the group and headed to play on the beach instead and tried their hand at some rock climbing and collecting seashells until the tour was over. 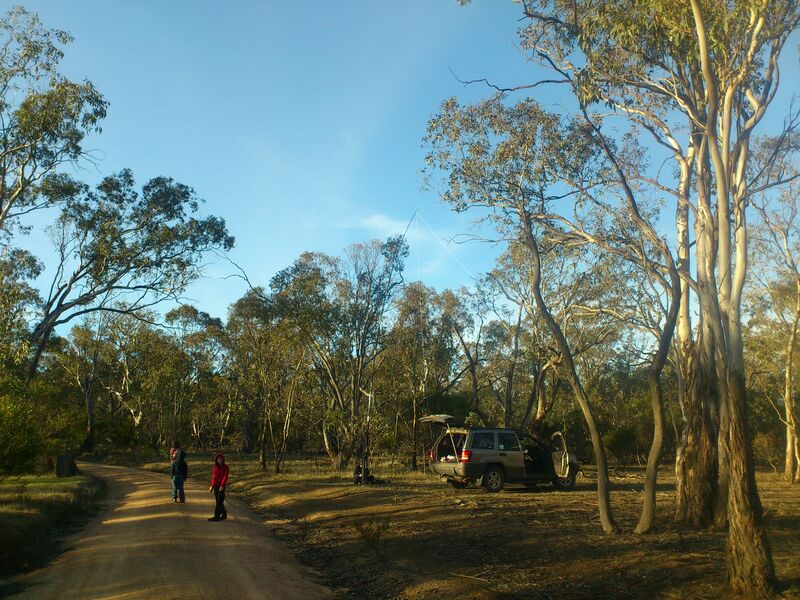 The next morning, Greg and Gabi took me out for a half-hour of geocaching, picking up a few caches that were located within about 10kms of their home QTH whilst Bob loaded up the car ready for the trip home which was a great way to end the trip. I wouldn’t be surprised if Greg and Gabi take up geocaching themselves! When we arrived home, a trip down to our newly established garden had us all so excited. Bob had installed a tap-timer before we left to ensure the plants were kept watered while were away and it was a happy sight to see our first produce ready to pick!! Since then we have had plenty of tomatoes and zucchinis and just today we had our first capsicums! Everything has been grown from seed, so it makes it that little bit more special to me when I pick our vegetables. Saturday the 28/11/2015 I took part in the inaugural VKFF activation weekend. A tremendous amount of time and effort has been put into making the Australian WWFF program as big as it is by Paul, VK5PAS and it was terrific to see the amount of radio amateurs participating by heading out to set up portably in so many parks over the weekend. The closest parks to me are Kooyoora State Park, VKFF-0759 and Kara Kara National Park, VKFF-0629. After my lack of contacts from Kara-Kara for the KRMNPA activation weekend, I was determined to try again as I only needed about 2 more contacts to qualify Kara-Kara with 44 contacts for the WWFF program. The kids had already decided that they weren’t interested in coming along. My husband had to work later on that night, but said he was happy to stay home to babysit while I headed out for the day but I had to be home by 4pm at the latest. So, it was with some trepidation that I took off earlish Saturday morning on my own, being my very first solo activation ever! This may seem like a trivial thing to most seasoned activators, but for me it was a big deal. I am so used to having Bob along to set up everything for me, then I get the fun part of using the PTT button and scribbling down contacts, and then I watch him pack it all away and we head home. So, for me having to do it all my own, with no assistance was a big step for me! My navigational neuron is about the size of a pin-head and is notorious for disconnecting at the most in-opportune times, but I knew where I was heading so wasn’t particularly worried about the travelling or getting lost but the setting up part was slightly terrifying me, and I hoped that it would all go smoothly. The plan was to do Kara-Kara first, then head to Kooyoora on the way home, doing both activations in one go. I drove to St Arnaud, then continued out along B220 to Stuart Mill, turning right at the Teddington Road sign, then following that road all the way into Kara-Kara NP. There is a great camping area near the reservoirs and there was only one couple with their caravan when I arrived. I drove to one of the picnic tables a little ways from them so as not to disturb them too much and set up in a shady little spot. I used the picnic bench as the support for the squid pole and strung the arms of the dipole out around some high branches conveniently placed nearby. I plugged everything in, connected the 7Ah battery and turned on the X1M, made myself a butterscotch latte and had a listen to the activity on 40m. Set-up complete! I hadn’t managed to break anything and everything looked like it should so I was very pleased with myself. It was a lot easier than I thought it would be, but in saying that I had loads of space where I was, so putting up the inverted V dipole was a breeze. I brought along my tablet so I could have the parksnpeaks website at hand. I am yet to use the tablet with a logging program, as I find it easier and faster to scribble down info and then use the Fast Log Entry program when I get home but that could change. I was using only 5W and most of the contacts I made were park-to-park which was terrific. Have now qualified this park for WWFF, although it took 3 separate trips! I packed up around lunchtime, headed back into St Arnaud for petrol and lunch, then headed for Kooyoora State Park. 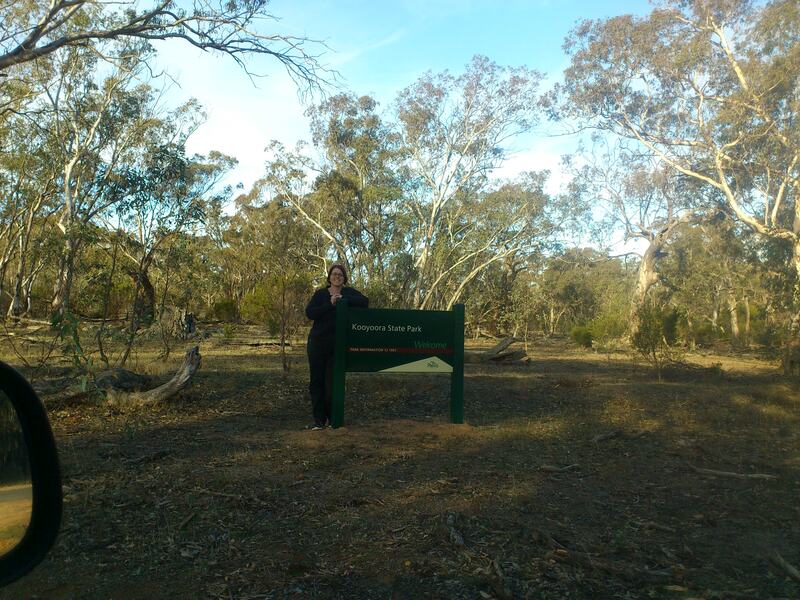 I turned right onto the Wehla-Wedderburn Rd which then turns into Dunolly-Wedderburn Rd, and then left into Mount View Rd, pulling up just past the Kara-Kara NP signage. 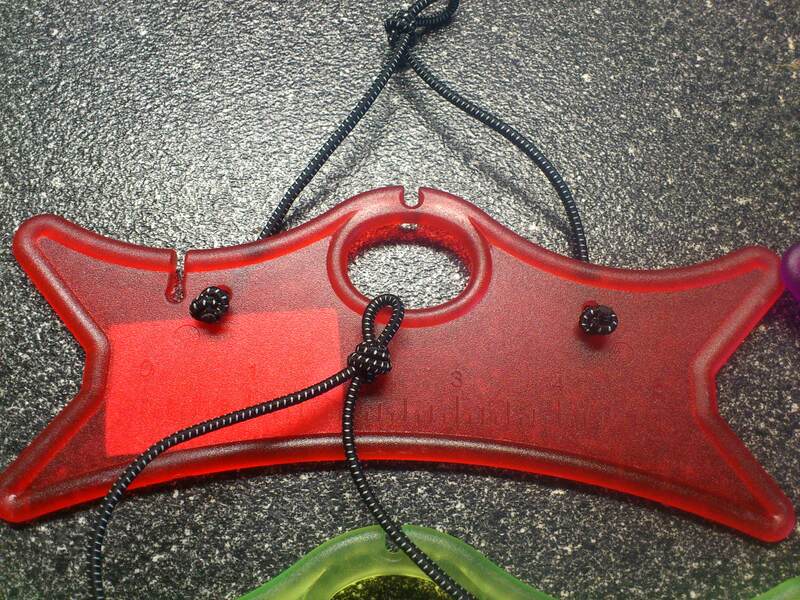 There is a cleared area, and a very convenient post marker to use as the squid pole support. This is the same area we used on a previous activation as it is the fastest way for us to get into the park from home. I forgot to pack the picnic rug, so after a quick rustle through the back of the car, I found some shopping bags, which saved me from sitting on the ground. The ants were out in force, but luckily they didn’t seem too interested in me. There was very little shade and things started to heat up after a while, so I pulled the pin and headed for home, getting back just before 4pm. I am still 8 contacts short of the 44 needed for qualifying Kooyoora State Park for WWFF, so next time I go to activate this park, I will head to the Melville Caves picnic area to set up, as there is ample shade and tables to set up on. Plus there are a few geocaches that I am yet to find at Melville Caves. My neighbours Bob and Brian first introduced me to geocaching just after we moved here almost 3 years ago. I had never heard of it and didn’t get actively involved until about a year later when they invited me along on a geocaching day with them and from then on, I was hooked. 🙂 For the last couple of years, there is an annual Meet and Greet held in St Arnaud, which is about 45kms from Wedderburn and I hitch a ride with Bob and Brian which is great as the family isn’t really into all-day geocaching. The day usually involves searching for the new caches put out specifically for the event; a meet-up for lunch with BBQ and competitions and raffles; out for more geocaching in the afternoon; a meet-up for dinner at a local restaurant with more raffles and then most people head out en masse to do the night cache. This year was no exception. You don’t really have much to work with regarding cache placement in a bush environment…a cairn of rocks here, a tree stump there, a fallen down log hole here but you can make the cache containers interesting which is exactly what happened this year. They were very cleverly crafted with most made of metal and weighing a ton! A lot of time and effort was put into them which makes it a pleasure to find! I have a feeling that quite a few of the St Arnaud Bush Meander series will be nominated for “Cache of the Year” when January rolls around. It was a long, tiring, but fun day and I look forward to seeing what Simon, Flo and Wayne have for us next year! Today I was given a “kitchen pass” and took the opportunity to go geocaching by myself for a few hours. There were a few newish caches that were relatively close to home in the Mount Gower scenic reserve. I planned on getting all 8 caches, and 1 earthcache in the reserve and had earmarked two other caches that were on the way to the reserve. I took off a little about 10am and got to the first cache at about 10:30am. 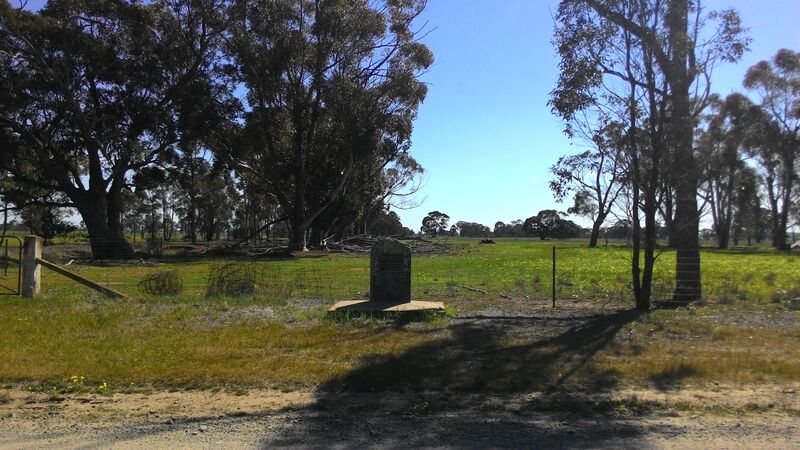 This one was a multi and required me to answer some questions with the answers coming from a plaque placed at the site commemorating the Yeungroon School which first opened in 1877. We, as a family, had originally tried to get this one some time ago, but didn’t manage it. Today was a different story, and I managed to imput the correct coords into my GPS and took off for a quick stroll down the road and found the cache. One down, 10 to go! Back in the car, a few more kms up the road was the next cache. 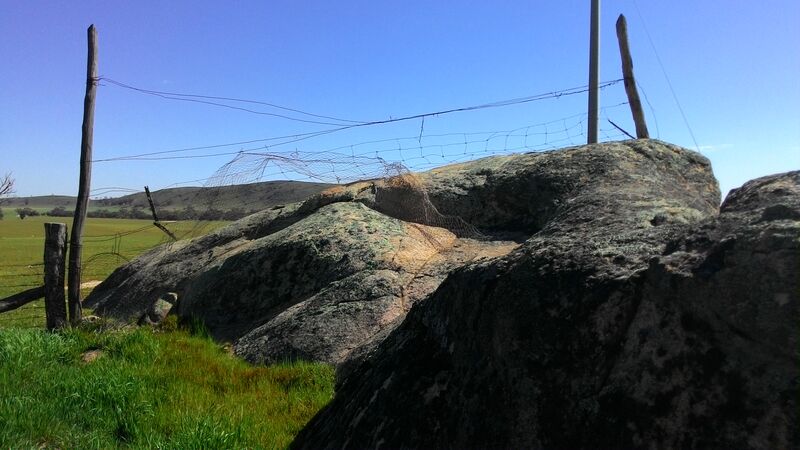 This particular cache is named “Ingenious fencing – a rock and a hard place” and is very appropriate! 🙂 My GPS was jumping all over the place here, so I did a walk around and eventually found the sneaky little cache in the last place that I looked. Great, one more crossed off, things were going well! I then started my way towards the Mount Gower reserve and was following my map well, until I got to a part of the road where I should have been able to turn left and continue onwards, but instead a farmer had decided to commandeer the road for himself and had a makeshift fence and closed gate running across the road! So this is where I ran into my first headache. My GPS was not working as it should and my phone navigation said was I was somewhere totally different to where I was! I fluked my way onto a road that I recognised and after a bit of extra driving out of my way, managed to make it to the reserve. 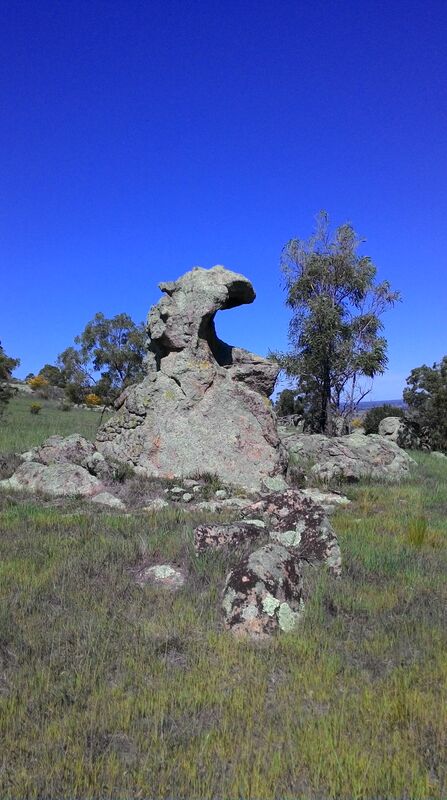 The traditional cache was a relatively easy find not far from the main dragon rock. The grass around here is sort of long, and if I was a snake, I would like to hang around up here…lots of rocks to sun myself and even a water feature for me to drink from! So, I carefully took off on foot following the track to the next cache which was about 200m away. This cache had me walking in circles and still I got nowhere. Being a micro does make it a little more difficult to locate and in the end, I decided to give in and look for it on my way back. The next cache was another 150m away, through more snakey-looking grass and my GPS went crazy again. 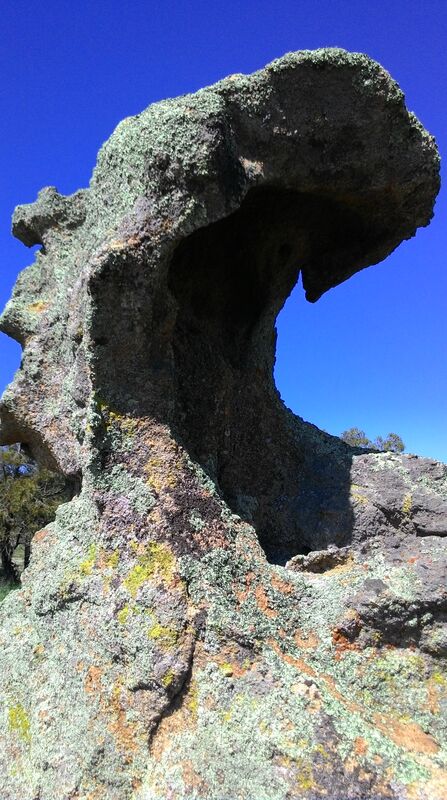 No matter how many times I triangulated my position, it was pointing in the same direction which was scrambling up rocks dodging twisted tree bits as I went. After about 40 minutes of searching (yes, you read that right!) I had reached my limit. I was hot, completely frustrated, and had managed to bruise my hip pretty nicely on a large rock so I threw in the towel. Back to the car I stomped, completely annoyed! I didn’t even bother to look for the micro on the way back as planned. I will, of course, come back to find them another day..it’s just that today was not to be that day! Oh, and thanks to the losers that decided to take the road name signs from their posts on the proposed way back home…it made my navigating slightly more interesting and scenic!! Next time, I will pack the portable gear and play radio instead! 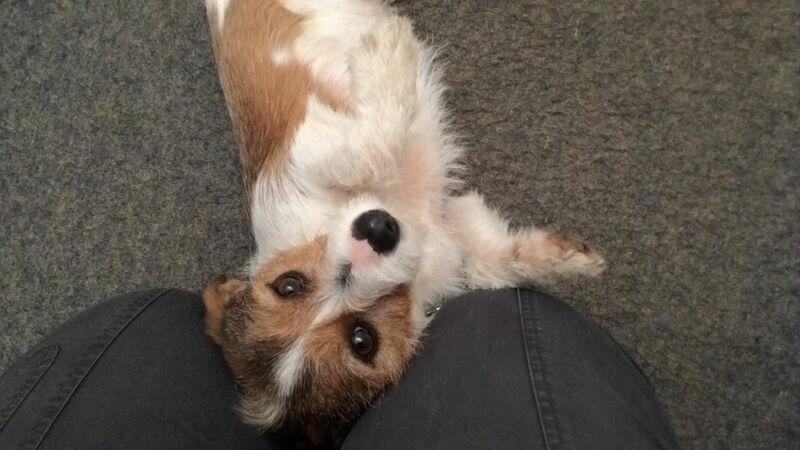 My blog has been neglected of late but I couldn’t help making a post about our newest family member: a 3 year old, Mini Foxy x Jack Russell named Jack! 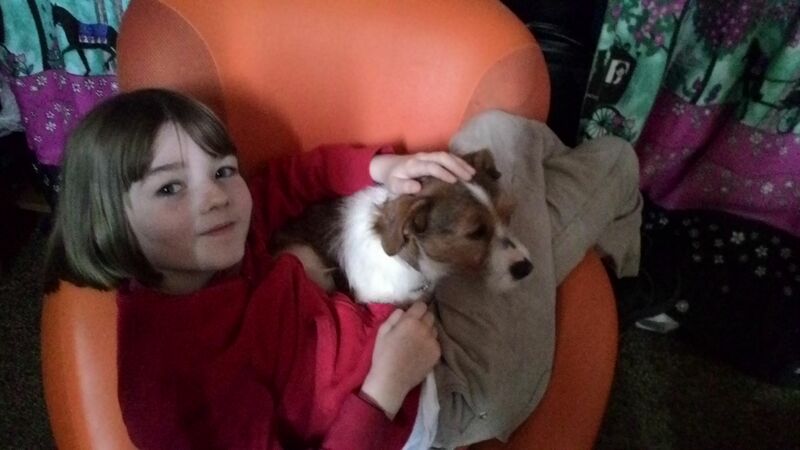 We had talked on and off about getting a family pet for a few months, weighing up all the pros and cons of doing so and with the children eagerly adding in their suggestions for ponies, horses, guinea pigs, rabbits etc. the decision was made and I started an online search for a dog. 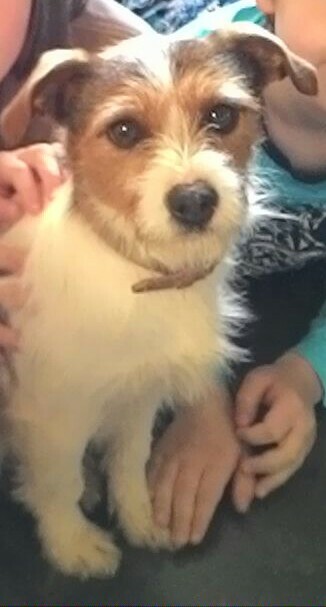 The family had agreed that we “needed” a Jack Russell but we wanted a long-wire or broken-coat breed, and it had to be around 3-7 years old. Simple enough! Yes, but every other person in Victoria wanted to adopt one as well it would seem, because as soon as we found a match, we would ring up and find it had already been taken..so what started off as an every other day search became a twice daily search, morning and night on various animal adoption websites so we would be sure to have a chance of finding a match as soon as they appeared online. My new Pathtag has finally arrived! Well, it has been a long 3 months since I made the decision to get a new pathtag! But today they finally arrived! Just as well, as I have about 15 outstanding trades that have been patiently waiting for me to have the pathtags in hand for over a month. Mostly, they are going to the USA to trade with other geocaching ham operators but it will be interesting to see where they end up in the world. Over the next few months, I will be arranging some changes to my first pathtag, namely getting rid of the glitter and adding a translucent darker blue instead, and will go ahead and get a refill made. The bonus of refills is that the base quantity you receive is 100 tags, whereas when you order your first starter kit you only get 50 tags. 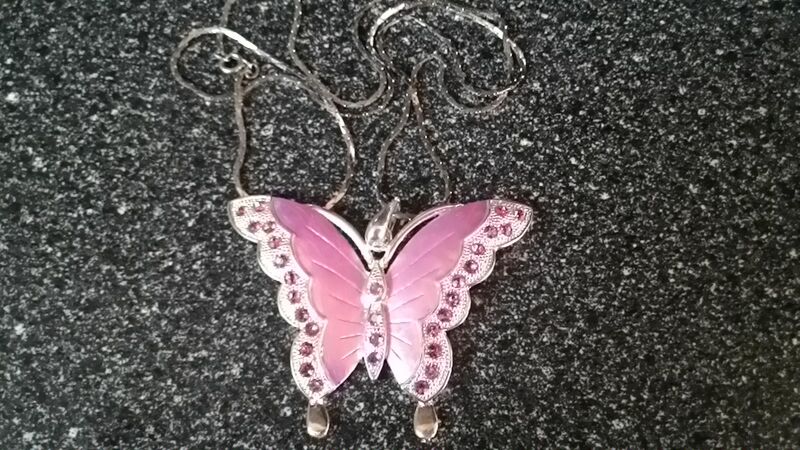 Don’t you just love when parcels arrive? Especially when they contain stuff for playing radio! 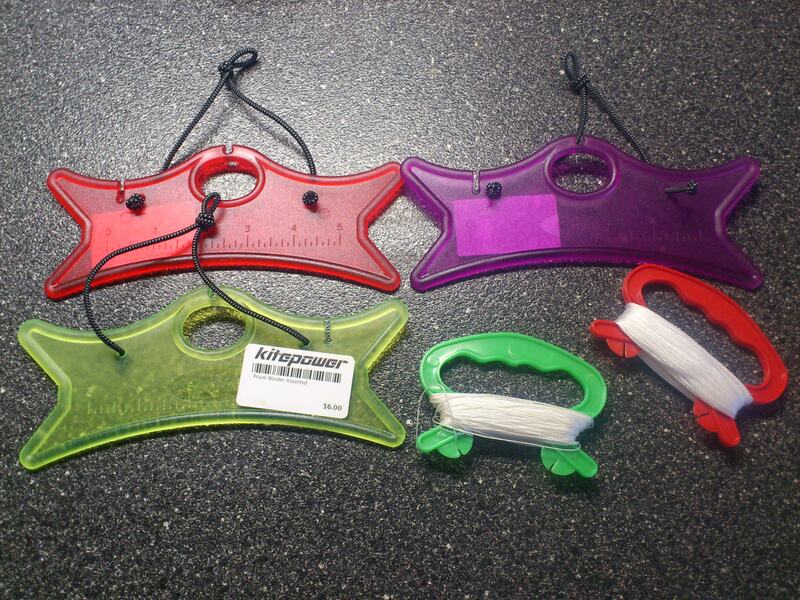 I have been on a search for some winders to store my antenna wire when I go portable. I love the design of the SotaBeams winders, however the cost when postage was included didn’t make them so attractive especially when I usually pay extra for trackable mail when it comes from overseas. Yes, I am quite stingy, and love a bargain so I decided to do some internet searching for some winders. 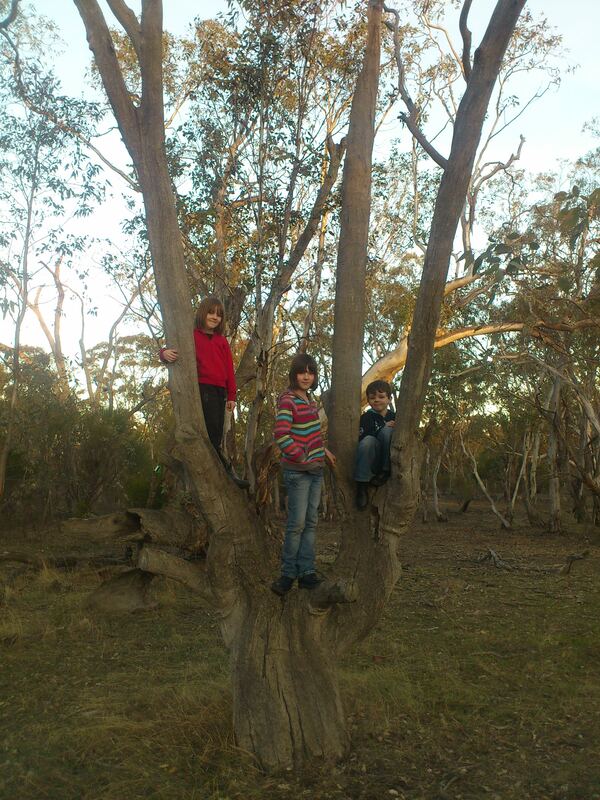 On the 23/05/15 after chatting to Joe and Julie who were mobile on their way to St Leonard with the chance of activating the summit nearby, I bribed the kids with $5 each if they would let us go and activate very briefly, Kooyoora State Park which is VKFF-759 for the WWFF program. It is the nearest park to us, within 35 mins drive of home, and so with a quick scramble of equipment, we took off. 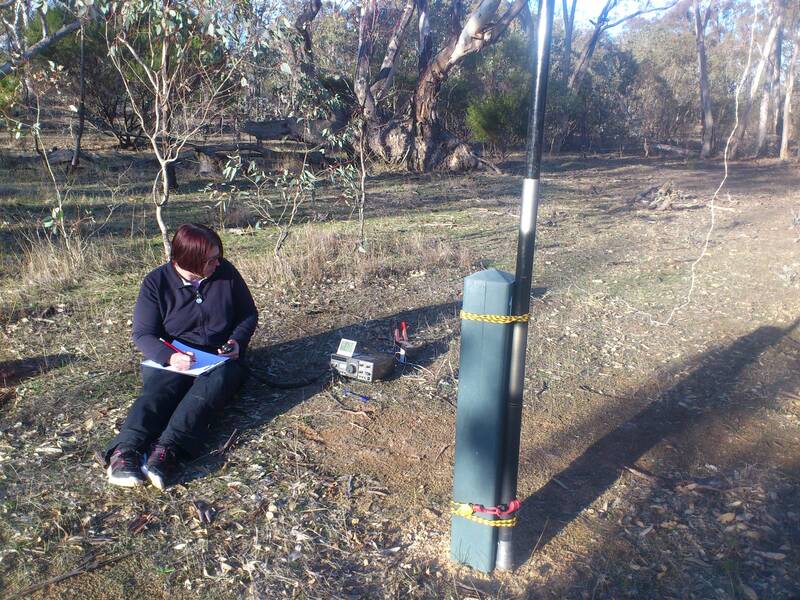 We drove to the park via the Wedderburn-Dunolly Rd and then turned left into Mt View Rd pulling up about 50m or so into a clearing with a convenient post to strap the squid pole to. The kids took off exploring and climbing and the “shack” was up and going by 4:00PM local time. I used the TS-120V and had the usual inverted V setup. Taking ham radio to new heights!